I’m going offline today to start addressing some feedback I’ve received from my Blogging Your Way class and the survey (you have a little over a week left, by the way, and thank you and good luck to everyone who filled it out and entered the giveaway!) but I didn’t want to head out without sharing with you a solution to a problem I was having. For the life of me, I couldn’t find any good solid green ties anywhere – not at Macy’s, Nordstrom, or any suiting specialty store. 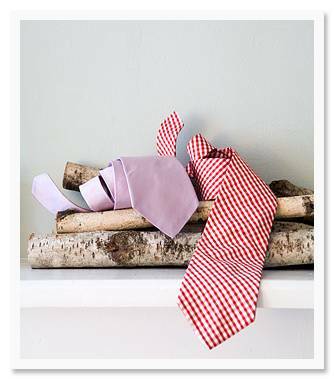 I even tried Thomas Pink (another great source for ties, by the way) to no avail. While looking through posts I had made in the past on this blog, I revisited the Simple Silhouettes site and realized they make ties from any of their fabrics they stock… and – oh happy day! – they had the perfect shade of green, sans pattern. They also do bow ties, cummerbunds, and pocket squares if you need them. Check out their fabric options here, and navigate the left hand column for other fabric type options (each fabric type has its own available color set).